"NIH Research helped us close about $1.5 million in sales as a direct result of their efforts." Vice President / Healthcare Management Systems, Inc. Sometimes you need specific information about what your potential customers or clients think and what influences their purchasing decisions. NIHR offers you a window into the buying patterns of your potential client base and uncovers ways for you to expand it, communicate effectively with those in it, and how to maximize the sales opportunities for your company in your own unique marketplace. Once a sales process/cycle has been concluded, it is extremely important to ascertain the particular reasons the prospect or client chose or didn’t choose a vendor’s solution. Some post sales cycle key questions and answers are essential once a sales cycle has been concluded. This informational feedback from the individual or individuals making the decision is necessary to repeat the best practices in the case of a win, and are equally as important to correct issues that are problematic in the case of a loss. The sales and marketing process is very expensive and yet few vendors make the effort to conduct a “post game” and ask even elemental questions that could affect future success. All too often the theme is “move on to the next one” which is similar to the old adage “if you don’t understand history you will likely repeat it”. Winning the deal is the goal in selling but a vendor should understand why they won. Even successful sales people are often unconsciously competent and could benefit tremendously from understanding and sharing the components of their best practices with their peers and executive sales management. Was the price the deciding factor? Was it the vendor’s references? Was it a site visit? Or was it the sales person? Was it that one vendor’s solution was inferior or perceived inferior in feature/function? Did the response to the RFP either in timing or content affect the decision? Maybe you’re new to the market, or maybe you’re venturing into a different market than you typically work with, or perhaps you have a new product or service to introduce to the market. 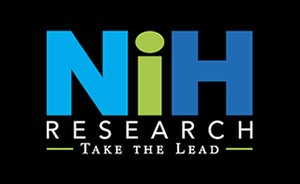 Before you spend thousands of dollars in research, development and distribution, allow NIHR to help you with a feasibility study to gauge potential market response. You’ll be able to know whether the market is ready for your offering or whether you should wait; whether you should enter the market at a low price point or set a higher price point reflective of quality. When you rely on NIHR for Product Market Validation, you can be sure that you’re getting responses that have been carefully collected by professionals that know how to communicate with your target market. Often, just getting your company or brand name out into the marketplace is all your company needs to start realizing greater sales performance. The question until now has always been how to effectively grow brand perception without spending a lot of money on advertising that may not even reach your intended audience. The answer is NIHR. We can quickly disseminate your brand image throughout a large database of potential clients suited to your particular product or service offerings, allowing you a foot in the door when it comes time to start soliciting sales.